The seed of life is a mystical design found throughout the ages. 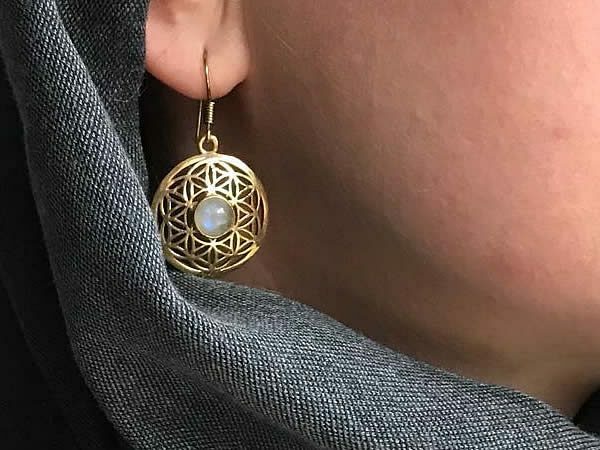 Here it is represented in a delightful pair of hand-made brass earrings featuring a light-catching rainbow moonstone centre piece. They are hung on gold-plated wire hooks. Stone: Natural rainbow moonstones 8mm diameter.